OpenCart 1.5 is a widely used eCommerce add-to-cart program. It has been used, criticized and has even faced competitions from other add-to-cart applications because of its free availability from the producers (open source). It is very easy to use for anyone having primary knowledge of developing a website and it also possesses numerous features and functions usually available in other paid applications. 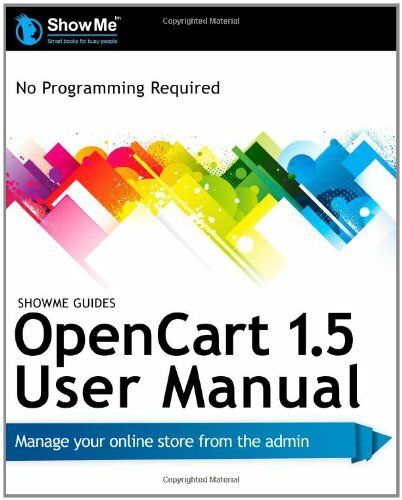 ‘ShowMe Guides for OpenCart 1.5 User Manual’ written by Mrs. Kerry R. Watson has a brief description of each of these features. With this book, one can have not only an in-depth knowledge of the features but also becomes independent to run an online store of his own, maintain it with daily set up & updates. The biggest advantage of this book is that it has screenshots of every tips being described in it. Checklists and cheatsheets are also featured in the book. If one makes a change in the Admin, how it should look in the store can be checked though the screenshots. The book includes a quick tour in the beginning about how to install OpenCart in two minutes and how to get though the program in just 30 minutes. After going though these two chapters, a person with no technical idea would also be able to understand the basic features of the program. The book takes care of everything, from scaling your logo to fit the looks of the store to setting up the products with proper view. A non-technical person can also operate efficient after going through the various chapters of this particular book. Security is one essential point regarding the payment. The store owner has to subscribe to an online transaction security provider. Show Me Guides OpenCart represents the technical security strategies in a non-technical way so that everyone can be careful about the security of their online store. Advanced users or developers can customize the features as per their preference. The book describes how OpenCart provides sophisticated platform for multiple languages and currencies. Each and every feature regarding the modules and templates can be customized if someone knows the programming codes a bit. Each chapter emphasizes upon a particular part of the program. So, by reading all the chapters, one will have better feasibility and understanding of the scopes of online stores with OpenCart. Needless to say that the language used in the book is very simple and easy to follow. Most of the online store websites made these days implement VirtueMart as their add-to-cart system. This open source eCommerce application has been the most popular one in its category for many years. It is very easy to install in the database. It is super-easy to add products and purchase from the online stores which has this particular application. The book “ShowMe Guides VirtueMart 2 User Manual” is written by Keery R Watson. This user manual covers every aspect of VirtueMart and helps in building a store of your own. This can be used for daily reference to run the store. The biggest advantage of this book is that it’s completely dedicated to non-technical VirtuMart users. That means you need not know about the programming codes as you would not find anything like that in the book. As there are regular updates to the application, all the new features can be reviewed in the updated eBook, which comes along with this book. You just need to re-download the eBook when you find there is an update in the VirtueMart. So, once you have bought it, you have life time accessibility to the book and its latest versions. 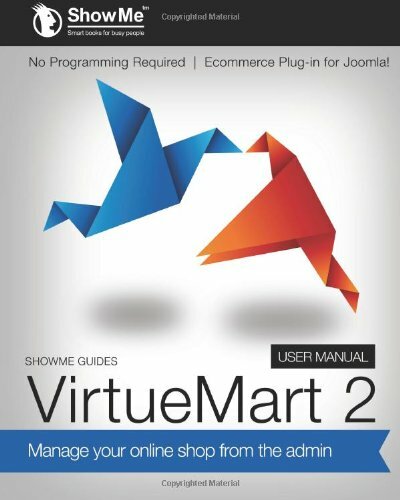 The book is similar to any other ShowMeGuides series book, showing the best of VirtueMart using screenshots, cheatsheets, checklists, tips. The texts are reduced as much as possible to make a graphical illustration of the application. One can have both Admin looks and the website looks in the same page to compare what changes in the Admin panel would result in which type of website appearance. The author, Kerry Watson, is an eCommerce expert and added contents from experience. The custom fields section of the book, where one learns to change the in-built functions of VirtuMart to bring better usability and accessibility is the best part of the book. It is important to mention that when it comes to customized usage; no one is comparable to Kerry’s way of representation. So if you have an online store and you are using VirtueMart, don’t let your developer throw blind technical spots at you. If it is your store then just go through this book to give the best visualization to your website. May be you will be able to make your store more delicate and user friendly than your developer in the guided light of Kerry Watson. This particular book written by Kerry Watson is available in most online books stores. Being one of the most popular platforms of e-comerce in the world, Magento, is both complex and amazingly powerful. It is one of the major platforms of the modern era, used for advanced web designing, mainly for e-commerce purposes. 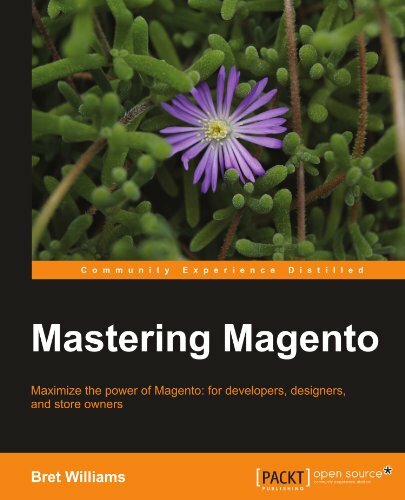 This task of learning Magento is made easy by the recently launched book titled ‘Mastering Magento’ by Bret Williams. The book deals with three basic points. Firstly, it deals with how to customize Magento store for the maximum performance. Secondly, this book helps you to exploit the little known techniques for tuning and extending your installation of Magento, and lastly a detailed step by step guide for better, faster and more productive running of your store is also provided. This book targets all kinds of designers, developers and store owners. It is a perfect guide or companion for both experienced and beginners. This book stands out in its field because store owners, designers and developers will have equal and better understanding of how Magento works, how its immense power can be used and how to create online stores which will help you in selling products. This book deals with the installation of Magento with the help of the latest and most advanced techniques so that your store gets the maximum successful. Although this book mainly focuses on the community version of Magento, it also covers every details regarding creations and managing of multiple stores of Magento. This in turn helps in fine tuning of Magento for the desired performance and speed. Also tutorials regarding management of categories, design themes, extensions etc are made available here. With the help of real world examples like personal insights and screenshots, this book helps you in learning and truly mastering Magento. The list of topics to be learnt from this book includes creation of solid plans for your Magento store, gaining a better knowledge regarding Magento’s capability of managing multiple stores and websites in a single installation and learning about localization of Magento for multiple currencies and languages. This book also deals with simple techniques for obtaining greater performance and speed for your store by using Magento. By reading this book you can also gain knowledge about purchasing the search engine optimization features of Magento for the better search rankings of your site, thus foregoing the need of hiring an additional SEO professional. In addition to these, the Magento tutorial is completed by the inclusion of a complete configuration manual guiding the launch of a new Magento store. 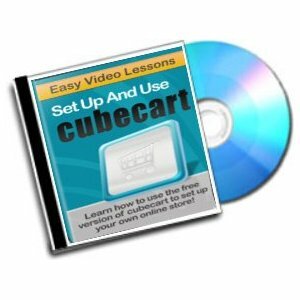 Cubecart is an easy way to set up an ecommerce store. cubecart allows you to set up a powerful store front for either physical products or digital products without all the complexity of other shopping cart systems. brand new video series takes you through the process step by step. There is no reason that you can not create a profitable online store yourself. After all, all the tools are available for you to do this. And the good news is that they are free! One of the easiest ways to make money on the Internet is to sell information in downloadable form. When you do business this way you can automate your entire business from start to finish. That means that once you have set everything up all you need to concentrate on is getting targeted traffic to your site. You never have to worry about handling payments, merchandise or delivery of items. That is all taken care of for you when you use the right shopping cart script. And that script is Cubecart! Cubecart is a full featured script with both a free and a paid version. 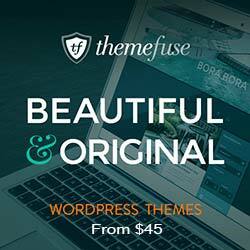 The free version has all the features you need to set up your store. In this video series I will go through the process of setting up a downloadable product store step by step. These video tutorials show you all the steps from start to finish in an easy to follow manner. 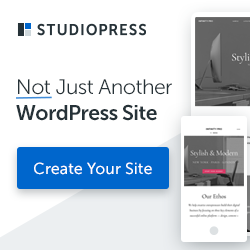 How To Update the Look Of Your Site. System Requirements: Any flash enabled web browser. Got an idea for starting an online business? You can start an online business without knowing any programming, because with free CRE Loaded it’s all done in your web browser. Just point and click to create your own shop, click to change templates, accept secure online credit card payments, click to set your shipping costs and publish your Internet shop. You don’t need to know a thing about ecommerce solutions. Fill in a form, and you have a beautiful home page with welcome text, in full-color html with pictures. Same to send a newsletter or emails to customers. It’s easy and fun to run a full-service ecommerce website – NOT just an online shopping cart. 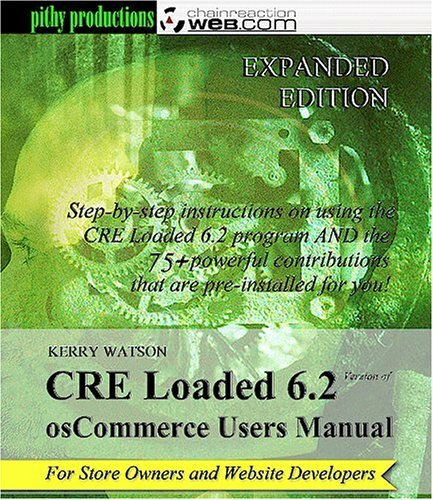 This book is a complete step-by-step guide to using the 75+ powerful add-on contributions that are pre-installed and tested for you in CRE Loaded 6.2 Version of osCommerce. You could start with basic osCommerce for free, work a year adding and testing contributions, and have maybe half of a CRE Loaded store. Or, you could get free CRE Loaded and this book, and make money right away. Programmers or webmasters who want to turn out user-friendly ecommerce stores quickly and smartly, so your non-technical clients can easily take over their own online business without a hassle. New chapter: Using Power Tools: FTP Programs, WinZip, and more. CRE Loaded is an easy to use, free online shopping cart system plus a full-service website management program. It is the best online business you can start today, combining a basic osCommerce shopping cart with 75 add-on programs that do not come with basic osCommerce: Give gift certificates… Upload all your products with one click… Sell downloadable products like ebooks or music… click to connect your store to PayPal or other payment processors so your money is automatically deposited to your checking account… Affiliate Program or MLM… Make money with Google AdSense ads… Shopping cart hosting service with free installation… Search engine friendly shopping cart pages… plus about 60 more free programs. See the official website at store.creloaded.com for a full list of features. WHO has the right skill level to perform this task. WHY and WHEN you might want to do this – lots of examples. WHERE – LOTS of good screenshots to show exactly what to do. HOW – Exactly what to change from, exactly what to change it to. The ShowMe quality seal also means you WON’T find page after page of filler. We know you’re busy, and if you wanted a general book on Internet history or PHP Programming, you’d be reading that book instead of ours.